As Prince William said in his speech, “now is not the time to be complacent” and “what Tusk has achieved in microcosm in a number of communities in Africa needs elevating to a much bigger scale”. Last night’s efforts will allow us to work towards this, tackling everything from human-wildlife conflict and habitat loss to the ongoing challenge of poaching and the illegal wildlife trade. 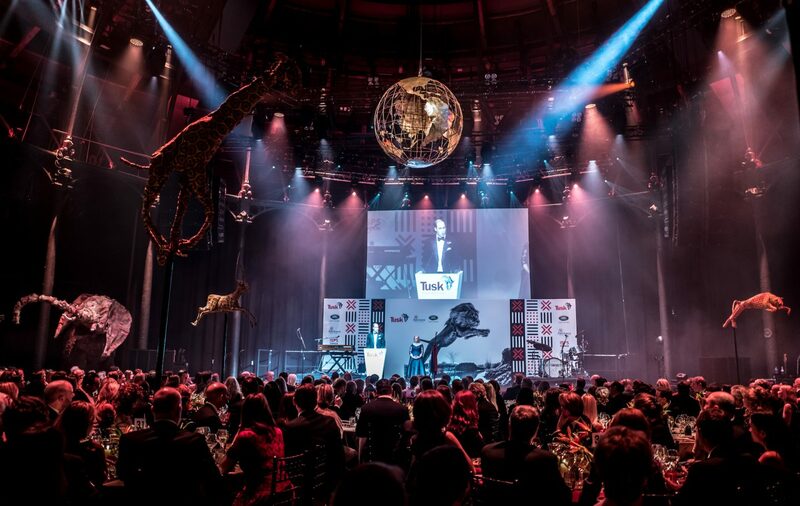 The Tusk Ball was very generously sponsored by Artemis Investment Management LLP and Land Rover, with further support from ISPS Handa, Lyceum Capital and Justerini and Brooks. During the evening the 430 guests were treated to an exceptionally powerful live performance by Jack Savoretti and his band, which had many people dancing and received a standing ovation at the end. And if that was not enough, comedian and long-standing Tusk patron, Rory Bremner gave a typically hilarious and impromptu rendition of UK and US politicians past and present! As MC for the evening, TV presenter and former rugby player, Martin Bayfield, entertained the guests throughout, and as auctioneer helped raise such a very sizeable sum of money for our work. The event was made all the more dramatic thanks to the incredible images of David Yarrow, who also very kindly donated two of his recent works for the live auction. We are indebted to everyone who made this event possible and joined us last night, not least of all Tusk’s Royal Patron, Prince William.